Looking for a Used Leaf in your area? 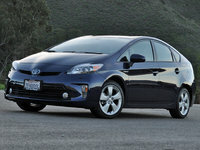 CarGurus has 5,846 nationwide Leaf listings starting at $3,499. The concept of an all-electric automobile has been around and dismissed for over 150 years. Nissan’s 2015 Leaf, however, is one of a host of efforts on the part of automakers worldwide to clean up their collective act in this era of eco-friendliness. And it's a success story on top of it all. The groundbreaking (sort of) Leaf, with nearly the same aesthetic shock value as the earliest U.S. versions of VW’s famous Beetle, remains an affordable electric-driven subcompact 5-door hatchback boasting some 30 cubic feet of cargo space with the rear seatbacks folded and surprisingly roomy seating for 5. Lauded by environmentalists in the U.S. since 2011, this downsized people hauler returns in 3 trims, the base S, the midlevel SV and the top-shelf SL, each of which remains available only with front-wheel drive (FWD). Pricewise, the Leaf competes with the likes of Chevy’s Spark EV, Ford’s Focus Electric and FIAT’s 500e. Some slight changes in the availability of standard features for 2014 Leaf editions are complemented for the 2015 model year by a switch in the Leaf’s basic exterior color scheme from Blue Ocean to Morningsky Blue, as well as the introduction of standard cruise control to the base S trim. Additionally, for 2015 the SV and SL trims get updates to the EV-IT system, allowing hands-free texting and voice destination entry into their standard navigation display. Oh, and there have been whispers that this electrifying hatchback might get a hefty cut in its MSRP for the 2015 model year. The returning 80-kilowatt electric motor that powers the latest Leaf iterations fits with the standard 1-speed direct-drive transmission for 107 hp and 187 lb-ft of torque. Depending on the trim chosen, regenerative braking and a rechargeable 24-kWh (kilowatt-per-hour) lithium ion battery pack keep the motor juiced up for a range of some 84 miles on a 100% battery charge… in a perfect world. Actual travel range, needless to say, again depends on average speed, ambient temperature, driving conditions and traffic. Thus cruising at highway speeds (60+ mph) for extended periods in cold weather, for instance, will obviously lessen this range. Now things get a little complicated. Although each 2015 Leaf trim boasts an onboard recharging system, said system aboard the entry-level S trim is a 3.3-kilowatt charger (without the regenerative braking feature, by the way) and takes, oh, about forever to recharge. Both the SV and the flagship SL, on the other hand, flaunt a 6.6-kilowatt charger (along with the aforementioned regenerative braking technology) that’ll have the battery juiced up to 100% capacity in about 4 hours using the available 240-volt charging station. Additionally, a standard (in the SL) or optional (in lower trims) quick-charge port uses a unique high-capacity power source to get an 80% charge in a touted-but-not-real-world-confirmed 30 minutes. The bottom line in all this techno-speak is that the 2015 Leaf allegedly gets the equivalent of approximately 113 mpg (average) in fossil-fuel terms. Anyhow, standard bling on and in the base S trim includes, besides the new-for-2015 cruise control, 16-inch steel wheels, a rear spoiler and heated power-adjustable mirrors outside, and cloth upholstery, heated front seats and full power accessories inside. Also adorning this pint-size hatchback are such conveniences as tilt-wheel steering and a rear-view camera, while standard comforts include climate control and a heated steering wheel. Also, Bluetooth technology again comes standard, as does a single-CD player with 4 speakers, satellite radio and auxiliary audio input. To all this, the up-ticked SV adds, besides the aforementioned 6.6-kilowatt charging system, 16-inch alloy wheels, those upgraded-for-2015 EV-IT techno-goodies, an auto-dimming rear-view mirror and a “B-mode” transmission for the power-returning regenerative braking system. Additional standard perks also include a navigation system with 7-inch touchscreen display, a more efficient cabin heating arrangement and a 6-speaker audio upgrade boasting Pandora radio integration for your iPhone. The top-shelf SL, meantime, throws standard 17-inch alloy wheels into the mix, along with leather upholstery, a standard quick-charging port and an integrated solar panel in the rear spoiler for boosting power to accessories, as well as a cargo cover. One notable option that returns for both the SV and SL trims is the Premium package, flaunting a 7-speaker Bose premium audio system and a 360-degree parking-assist camera. Finally, standard safety equipment for the 2015 Leaf lineup includes 4-wheel antilock brakes (ABS), traction and stability control, front side-mounted airbags, front and rear head airbags, and a remote antitheft alarm. The SL, in keeping with its loftier aim (and price), also sports standard dusk-sensing LED headlights and front fog/driving lights. 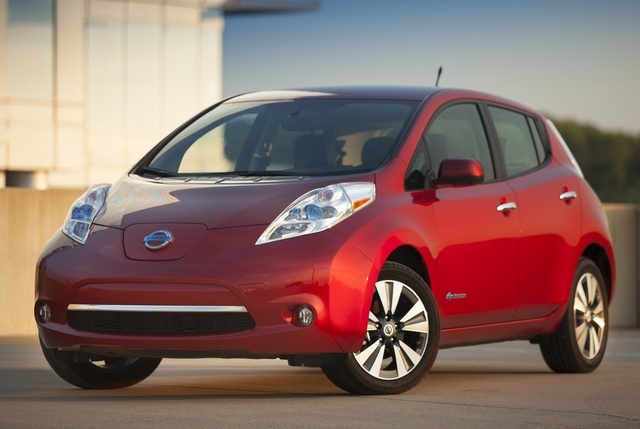 What's your take on the 2015 Nissan Leaf? edtan I bought a 2011 Nissan LEAF and put 61k miles on it now. The reasons I don't recommend anyone to buy Nissan LEAF, 1) I spent more than $35k plus tax on this car, now after 3 years, the trade-in value is $8k. 2) The battery degraded a lot and I can only drive 40 miles per full charge now. 3) Nissan never announce the battery warranty guideline and I only get to know recently, it is below 60k for 4 bars. Even I already lost 4 bars, but I am I am slightly over 60k now, good luck to me. Vallerga It's almost unbelievable that an early adopter would buy a newly introduced 2011 car and be so out of touch that he would not be aware of Nissan's after sale introduced warranty on the battery. Even though he abused his to degrade it that much they would have replaced it for free. I have a 2012, drive it hard and will probably not qualify for the warranty because the battery will not degrade enough. I wish it would! Jennifer Do not buy this car. Nissan doesn't have the technology down. I spent 11 months fighting to get simple things like heat, A/C, ability to charge car, proper functioning of a regulator on electricity use, and lastly, a light went on saying no air bag in passenger seat. Three dealerships turned me away (likely because they have no Leaf certified technician) and corporate office mocked me and sent me right back to them. Leafs were recalled for problem I have but dealelrships said I was imagining the problems. I am fortunate to have only lost $1500. I now have a real car that indicates how much energy is left and offers heat when it's 50 degrees out. Please do not think I'm a nut case. I am trying to save you the angst of owning a car manufactured by a company that has no concern for consumers. Users ranked 2015 Nissan Leaf against other cars which they drove/owned. Each ranking was based on 9 categories. Here is the summary of top rankings. 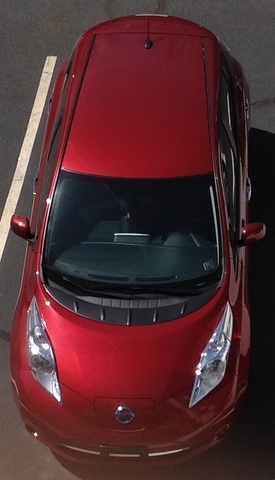 Have you driven a 2015 Nissan Leaf? Can you ship a car to Costa Rica? And if you do how much will the cost be? Vehicle Coming From Another State! If a vehicle is coming from out of state, will I pay the additional transfer fee from that state to mine? Is the car I am buying from Carvana, registered in my state even though it says Carvana Philadelphia?